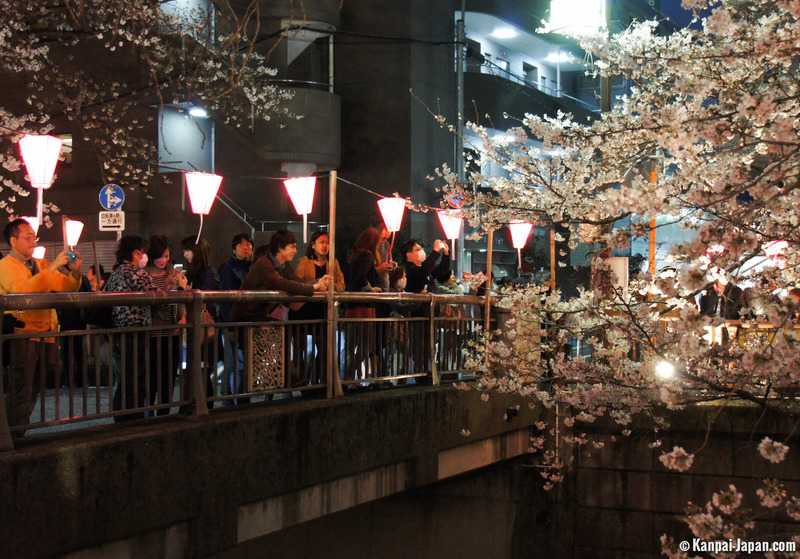 More discreet than the Sumida River on the other side of Tokyo, Meguro-gawa is also less bombastic: lined with buildings, it finds its balance between a stuffy town planning and a quiet residential area south of Shibuya. 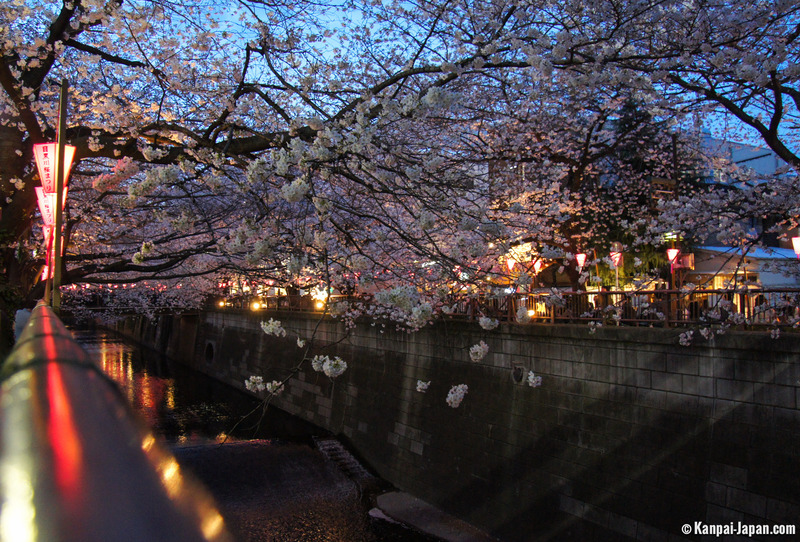 Not necessarily the most attractive in normal times, the river gets a tourism peak every year with cherry blossoms between late March and early April. 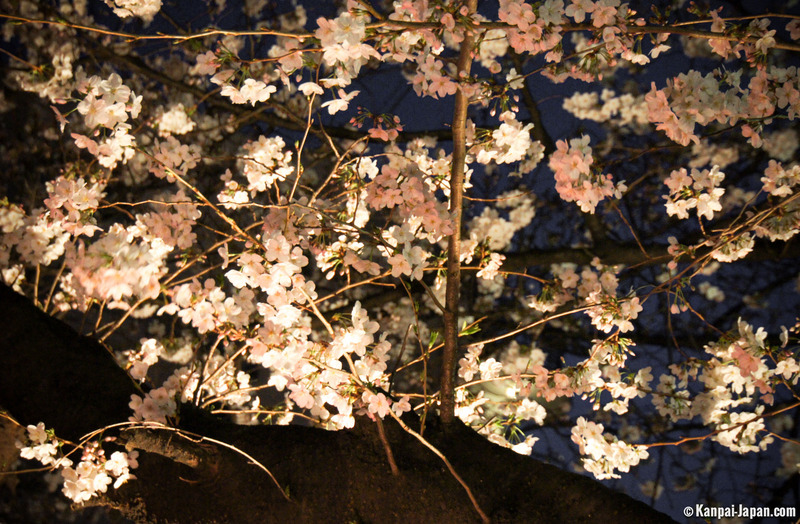 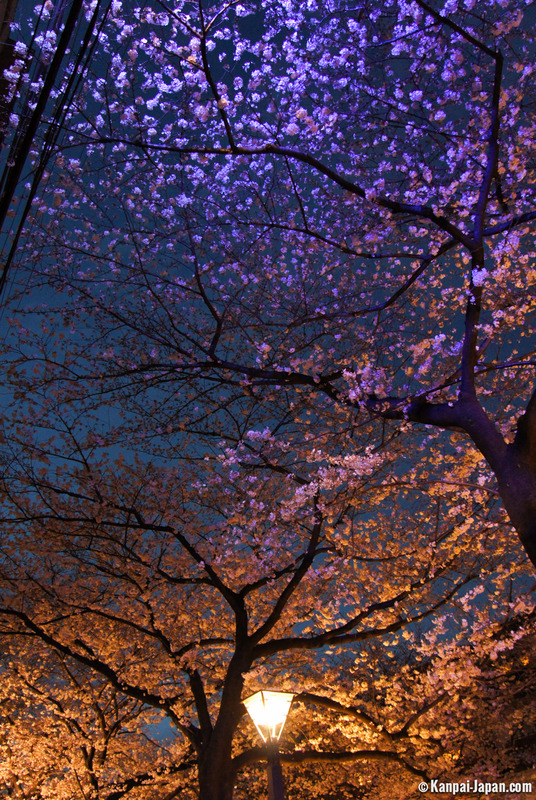 light-up at night is cleverly orchestrated during a dozen days at the beginning of spring. 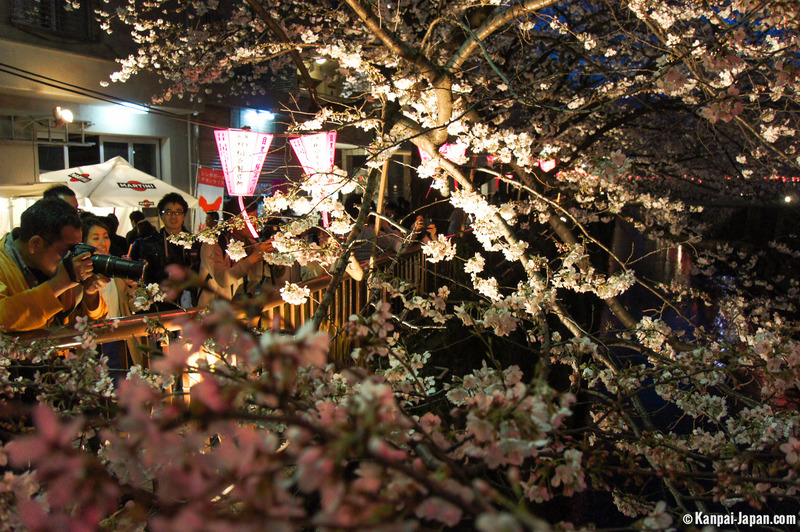 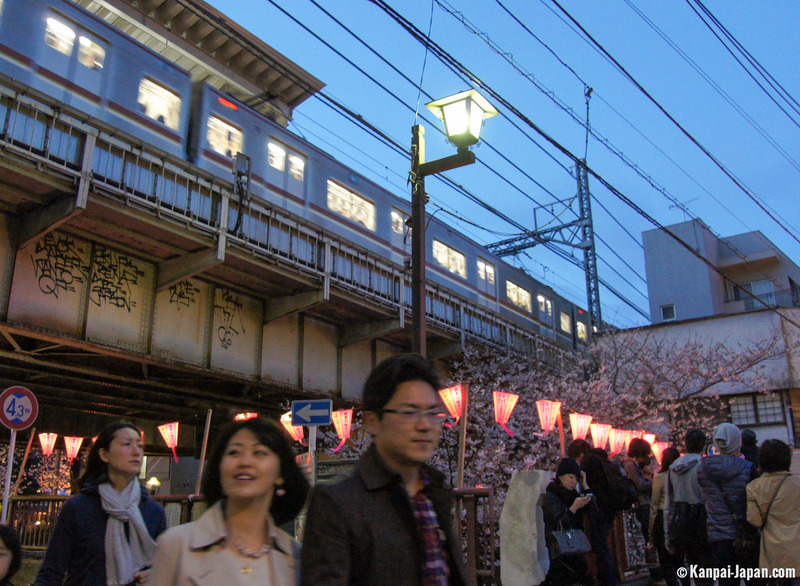 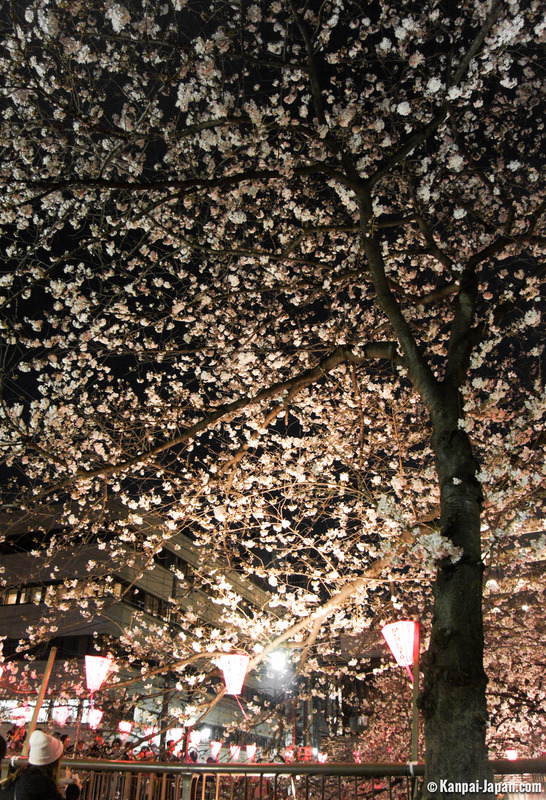 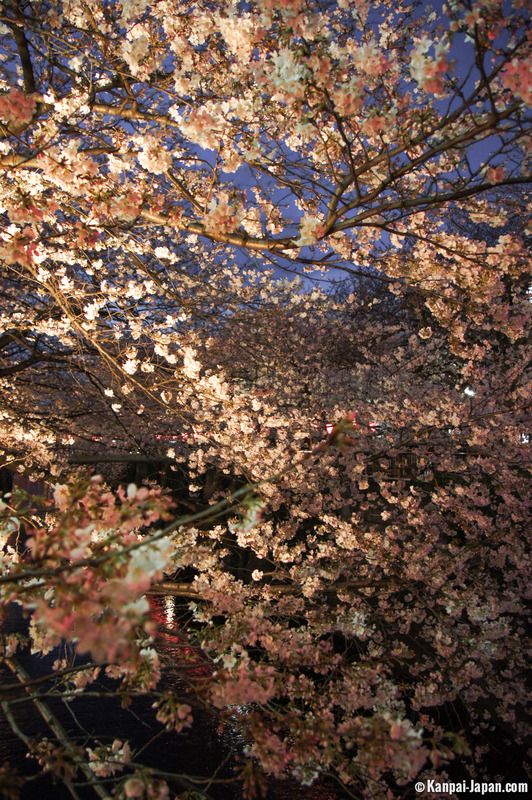 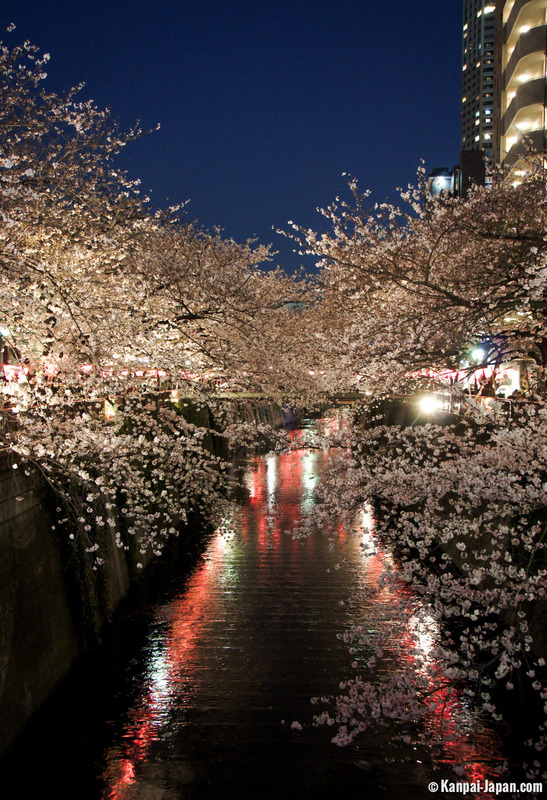 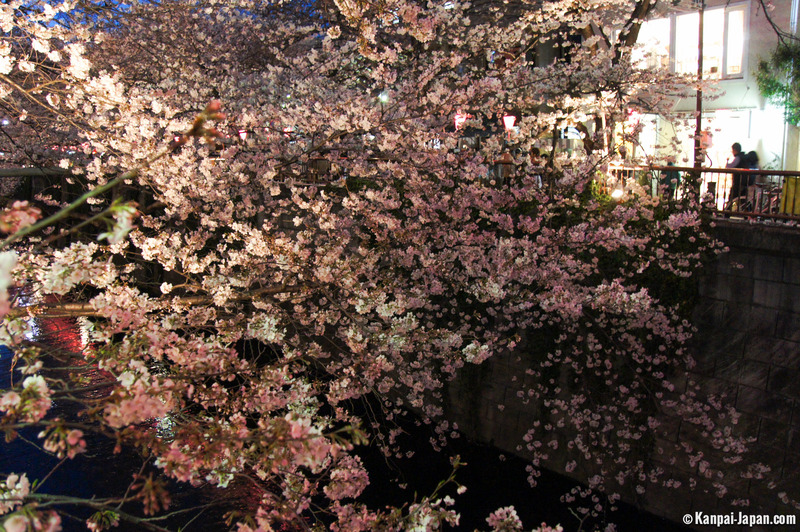 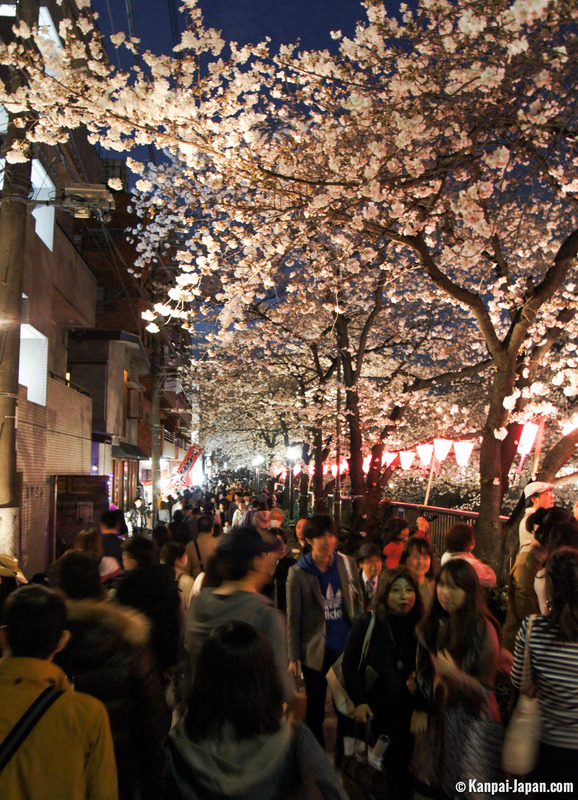 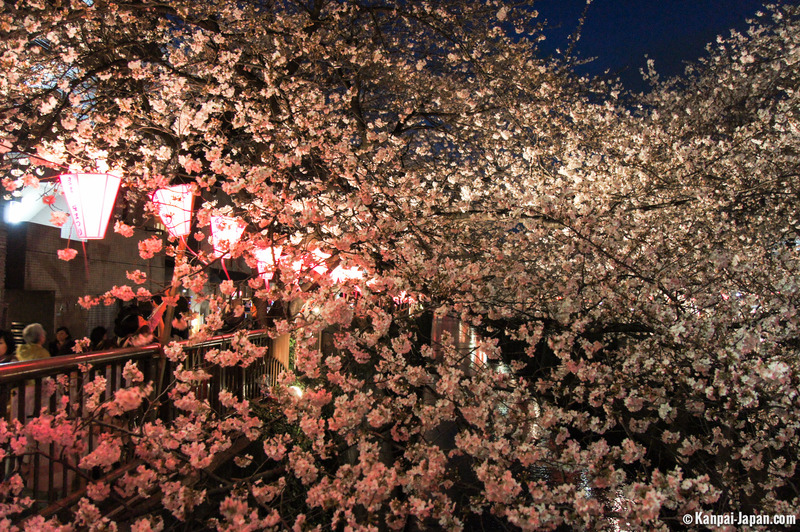 Thus, since about thirty years, Nakameguro has turned into what is officially called sakura matsuri (literally, "the cherry trees / cherry blossom festival") generally in early April and during ten days. 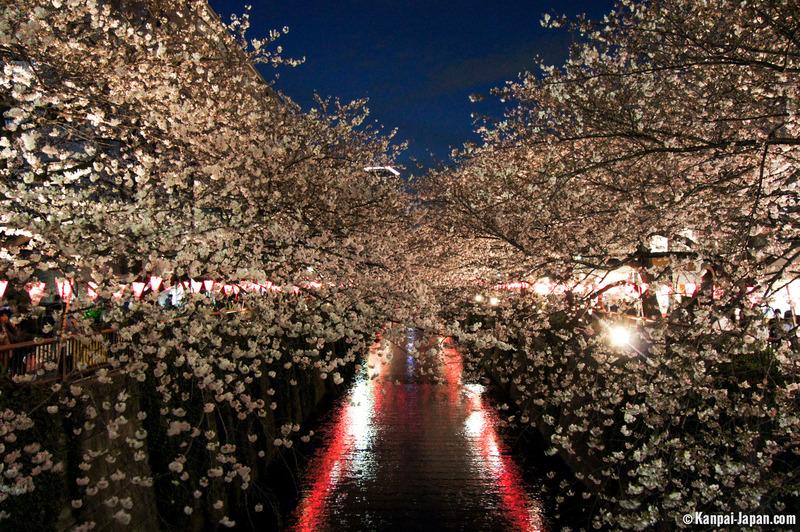 Upon nightfall, the walk of a few hundred meters on both sides of the river sheds a light deflected on some eight hundred trees, offering a superb show to countless visitors. 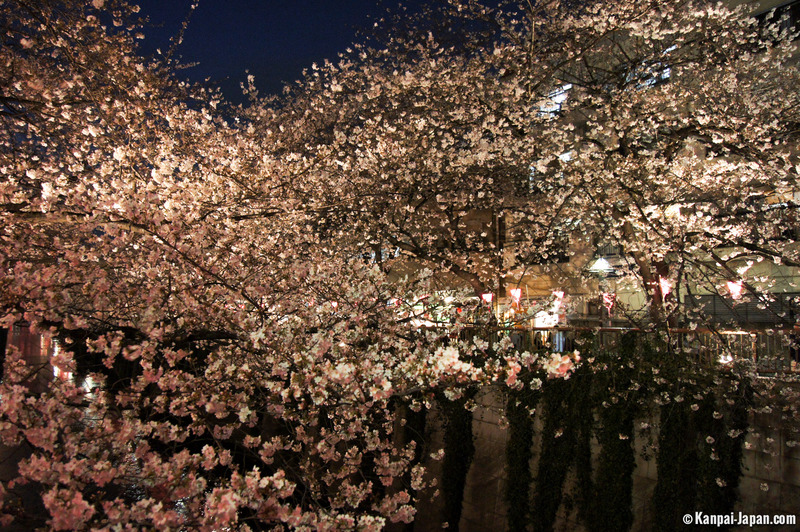 For they are many couples or friends enjoying views every night during this short period, simply to have a good time and capture photos. 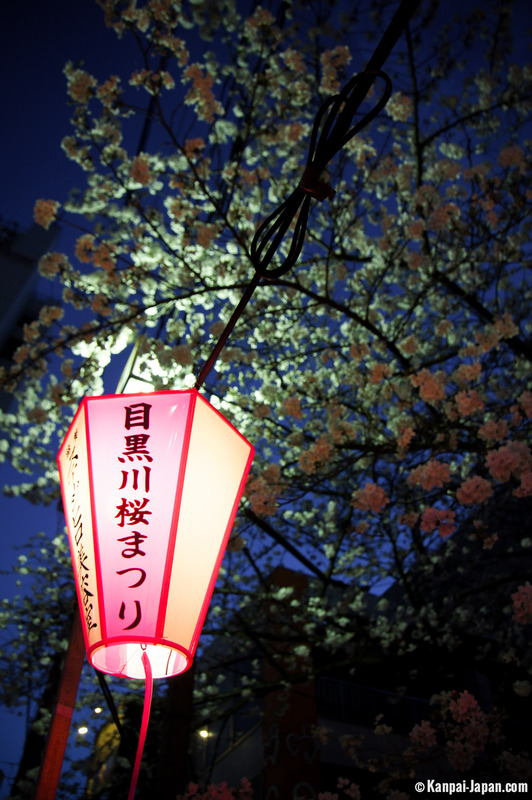 In Meguro-gawa, no place for blue tarps: one remains standing with its ¥600 / ~US$ 5.40 Champagne (or Martini) cup. 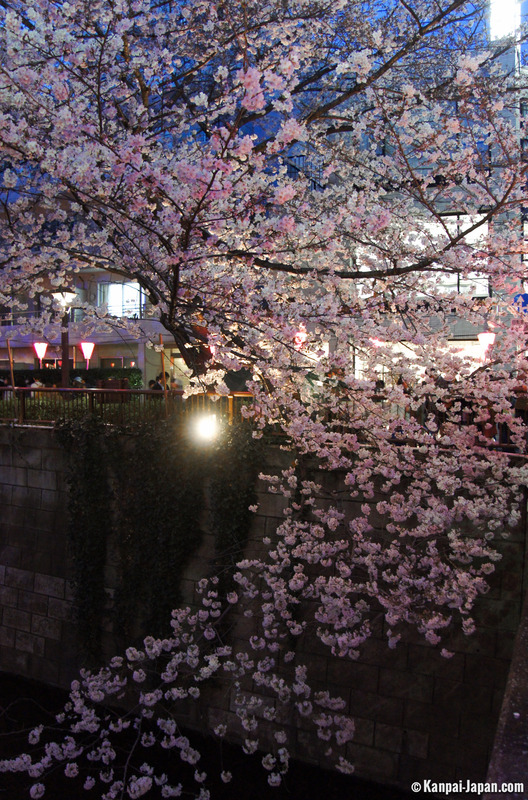 If shops benefit logically from it, the atmosphere is very pleasant and the ballet sumptuous. 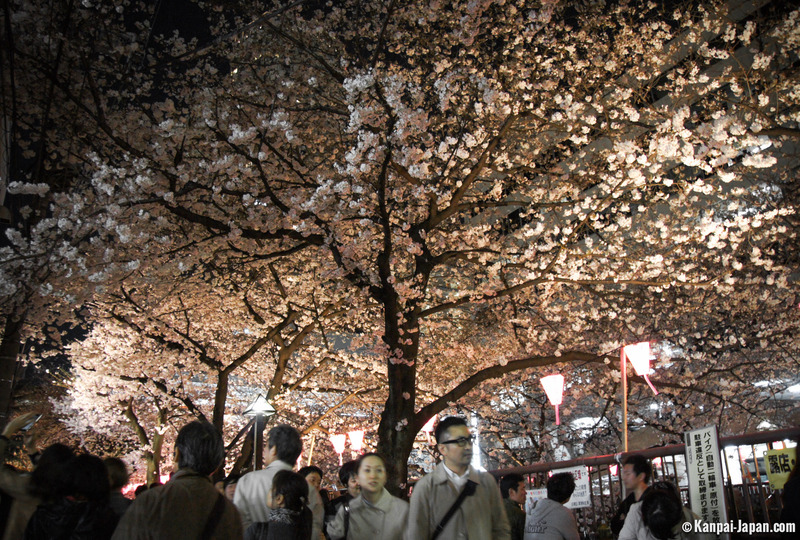 Impossible for those who would like, however, to enjoy the show alone since the light-up goes out quickly, witnessing hundreds of people return to the adjacent subway station, thinking about their next sakura spot for the following days.